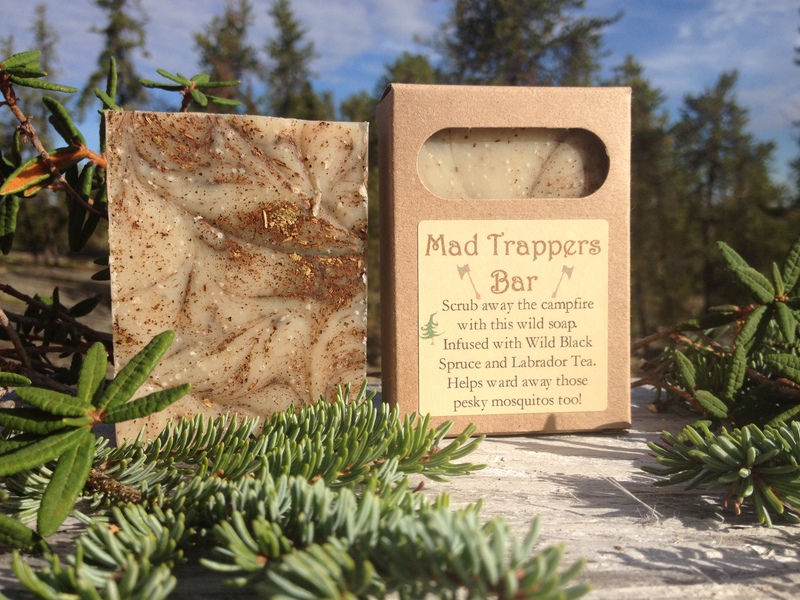 This Mad Trapper’s Soap Bar infused with Wild Black Spruce and Labrador Tea. Scrub away the campfire and get ready for a night in town! Not only does this soap smell like the boreal forest, it will help ward away those pesky insects that drive us wild on a hot day in the bush. Mad Trapper’s Soap can be used as a full body bar. It is perfect for bringing along as your camp soap. Mad Trapper’s soap is biodegradable, all-natural and vegan. The medicinal properties of the plants in this soap complement sensitive skin. Ingredients: Extra virgin olive oil, Extra virgin coconut Oil, wildcrafted black spruce needle and pure essential Oil (Picea mariana), wildcrafted Labrador tea leaf (Ledum groenlandicum). This soap is the best and this company is the best. I just bought twelve bars of soap to bring to people as presents in Europe. This is the coolest, most unique soap on the planet. Scrubs well and smells really good. The best.